Photography by Mallorie Owens, located in Austin, Texas. Available for worldwide travel! 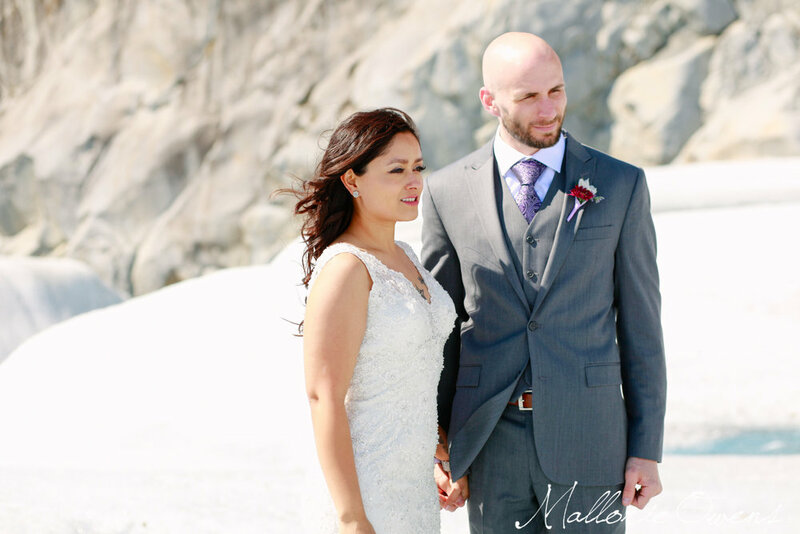 Last summer, I had the honor of photographing the Young's wedding in Juneau, Alaska! 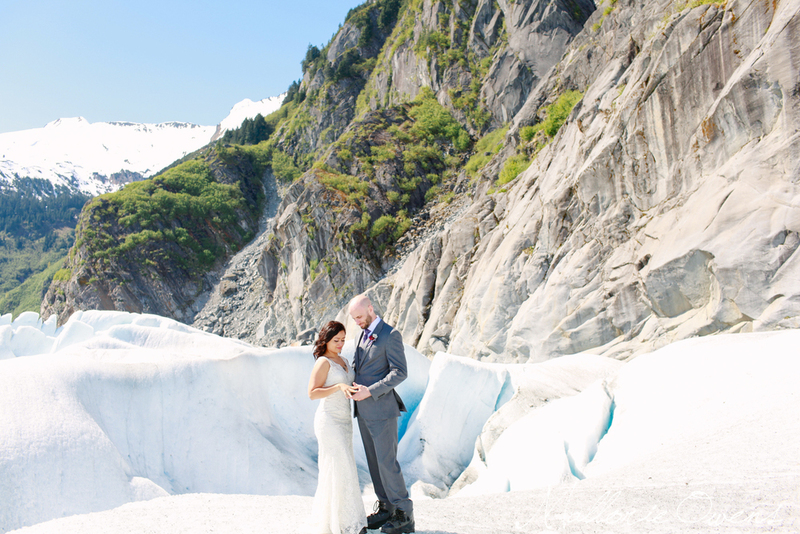 We had just moved back from Juneau to Austin and another client referred this couple to me because she knew I was familiar with Alaska. 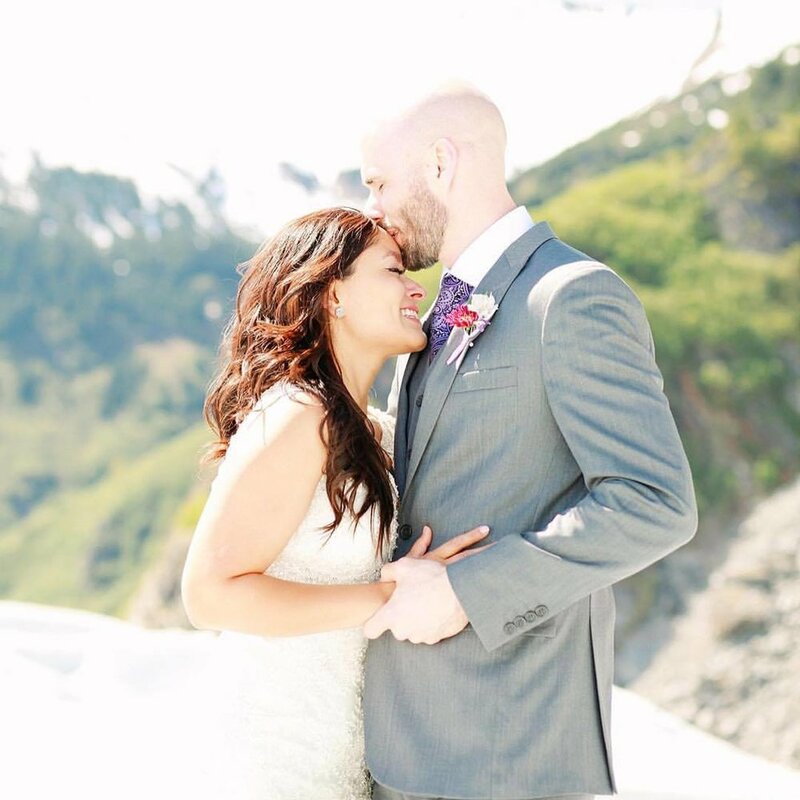 A few months later I was flying out with my Dad (aka the best assistant around), 6+ months pregnant, from Kansas to Alaska. Dream come true! We started their day walking Montana Creek Trail for some gorgeous portraits, then we headed back to their B&B to get their stuff, headed to the heli pad to catch our ride to the glacier, and we were off! We got SO lucky that day with 70 degree temps and a perfect sunny day. If you know Juneau, you know this is RARE! And it had been raining for weeks before we got there. 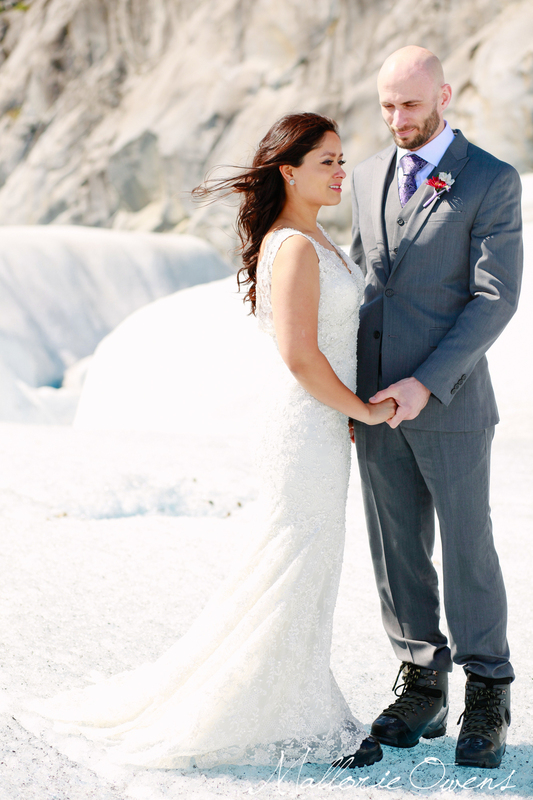 It was so beautiful seeing Juneau from up above and then being on top of the glacier was something I'll never forget. Coolest wedding location ever!